The biggest developments this year at the Claessens Group concerned the cattle sector. In addition to the modernization of the stables in Nagybaráti-puszta, a new barn was built in Felsőbogátpuszta. The feed and manure storage capacity has grown and the essential technology and machinery required for operation have been acquired. The investment worth nearly HUF 2 billion and is building upon EU funds (European Agricultural Fund for Rural Development – EAFRD) as well as own capital. 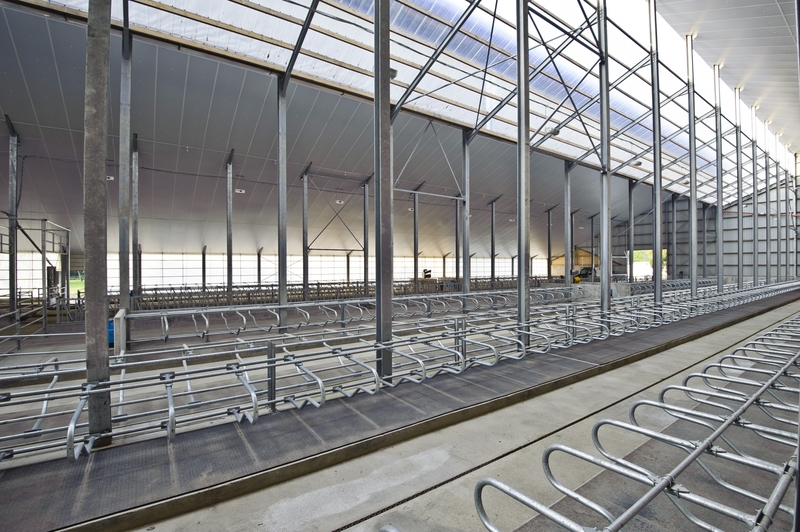 “With room for 1500 animals, the new shed is bigger than the others and has been designed to fit the specifics of the site. The building that is not particularly long, but wider than the usual, is fitted with two feeder rows and 12 resting boxes (in groups of 3+6+3), following a German example that served as a model. Having been built with a new arrangement, the walls of the shed can be opened while the translucent roof brings natural light to the animals” – said Peter Claessens, managing director of Claessens Group. The Somogycsicsó-based Csicsó Farm, currently busy with pig fattening, plans to expand its pork industry activities in the future. “This June we have started the construction works of a new sow farm giving place for 4500 animals; and relying on internal and external resources, we intend to conclude within the next three years. 70% of the pigs born here will be further fattened on Csicsó Farm and the remaining 30% will be sold in the domestic market” – said Christophe Claessens, managing director of Csicsó Farm. Exactly 20 years ago this year, the Claessens family has arrived in our country, launching their business. Due to the recent years’ large investments, they have become the biggest employer of the region, giving work for over 200 people around Somogyszob and Csurgó. As part of their corporate social responsibility programmes, they support schools, foundations, public institutions and sports clubs. A recent success story to be mentioned is that Boglárka Stoff representing Csurgó on the Gyenesdiás qualification race riding a horse of the Claessens Group has qualified for the National Gallop to be held in Budapest in September. In the last two years, they have aided the inhabitants of the surrounding settlements with HUF 120 million however they did not only contribute with a financial support to the life of Somogy County, but by providing jobs as well.